Bitcoin bulls have been ecstatic lately as the cryptocurrency has rallied over 38% over the past month, breaking the $8,000 threshold earlier this week for the first time in two months. The uptrend comes as a result of growing interest from institutional investors, such as BlackRock and Goldman Sachs, in experimenting with cryptocurrencies. 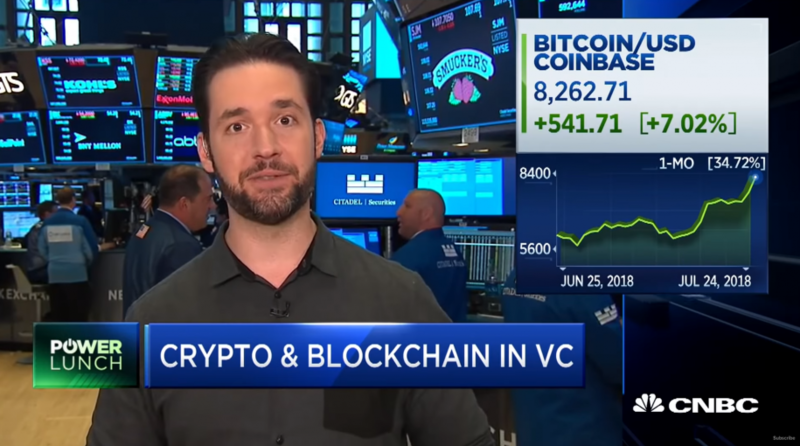 Alexis Ohanian, co-founder of Reddit and Initialized Capital, appeared on CNBC today to share his outlook on the recent bull run of bitcoin and the future of cryptocurrencies. Ohanian doubled down on his recent statement to Fortune Magazine, saying that bitcoin will be at $20,000 and ethereum at $1,500 by the end of the year. “Bitcoin has had quite a bit of battle-testing over the years, and it’s certainly the most robust and certainly one of the best proofs of crypto being a possible store of value,” Ohanian said.